NASA has captured moving images of the entire sun for the first time, shown in the embedded video. On February 6th, 2011, NASA’s two STEREO probes moved into position on opposite sides of the sun. They are now beaming back images of both the front and back of our closest star – the awesomely powerful source of our so far under utilized solar power. NASA’S STEREO spacecraft trace the movement of energy and matter from the star all the way to the Earth. They also provide incredible views of the “sun-Earth system”. NASA’s craft should be able to provide complete views of the entire surface and atmosphere for the next 8 years. As the video narration points out, the sun has a huge influence on everyday life on Earth, and with our increasing reliance on technology, this keeps increasing. Ejections and solar flares are the severe cyclones or hurricanes of space weather and can disrupt Earth’s navigation systems, communications and power grids. This new imagery will help us know when they are coming, giving us more time to prepare for those big solar storms. 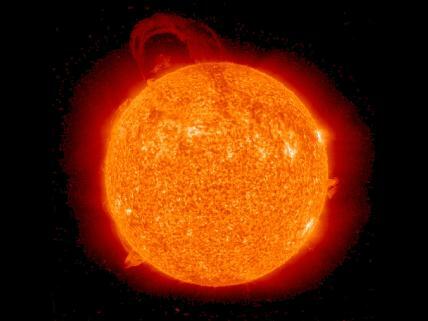 Also provided by STEREO is a zoom–in to solar activity on the far side of the star. These moving images show a young, fast-growing region of the atmosphere which creates brightening and ejection of solar material. Quite incredible when you think how big these must be. Previous post: Will Facebook Announce A Major Clean Energy Switch For Earth Day 2011?